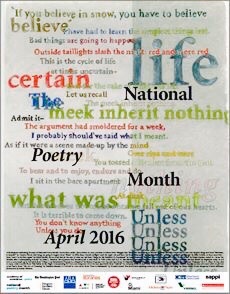 Inspired by Garrison Keilor’s today’s Morning Writer’s Almanac featured poem “No Longer A Teenage” by Gerald Locklin from her book, The Life Force Poems! and I tell her that I love her too! Indeed, yes! – Happy Poetry Month.